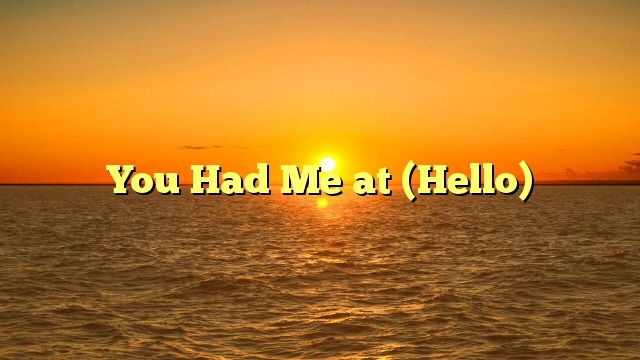 What does the expression “you had me at (hello)” mean? Definition: I was already convinced when you said (hello). Note: This is often used in romantic contexts as in the example.